My two little ones love babies, I actually think love is an understatement. They play from dusk till dawn mums and dads. We’ve been sent some fantastic Baby Born products as part of their Baby Born bath time campaign Thankfully this is the BABY born Rain Fun Shower Doll Set. It’s part of the new bathtime range which also includes the BABY Born Funny Toilet and the Interactive Bathtub with foam. We have lots of babies but needed a baby Born doll to try (see the BABY Born little brother in review in a few days). Ami and Sonny are 3 and 5 so the shower is the perfect gift for any child at this age. For Ami she was over the moon she loves showers so for her to be able to shower her baby was really important. To be a little honest it was a little tricky almost a bit flimsy when putting together. It was quite easy to put together, but a tad little fiddly. All the pieces fit in quite easily but didn't quite stay in place. Thankfully Ami came along and helped with the peer pressure with getting me to hurry up. The Shower comes with a little towel and towel rail which we all thought was very cute. The shower is easy to use, it comes with a doll holder that allows different sizes of babies to use. It's easy to use and works by turning the switch. There is a large drawer underneath that stores all the water. The shower door didn't always close so Ami and Son Son had great fun getting wet whilst using it. Their poor babies have all had a shower recently with the novelty of the new shower. My If you have a child who loves playing with their dolls like my two little ones then this is a must for them. I just wish I could be a child again, I used to love playing with my dolls but there was never anything quite this cool around 20 years ago. I would highly recommend this product and for the price, it sells at I think it is brilliant value. The shower can be bought for £29.99 from most toy shops or you can order it online. 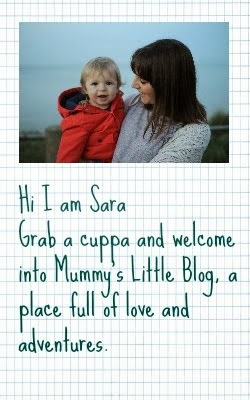 Check out the blog tomorrow to see how we got on with the BABY born interactive little brother. It was like Christmas for my little two with the babies. I am not sure who likes babies more and now what else is on the list. Ami has her eyes on the Baby born toilet and with her birthday coming up its top of her list.